On 22 June 1897, Queen Victoria returned from her Diamond Jubilee parade in London having had a wonderful day. Loyal crowds lined the streets to see their monarch, a tiny plump old lady clad in black, pass from Buckingham Palace, through Trafalgar Square, The Strand, Fleet Street and up Ludgate Hill to St Paul’s, where an outdoor service of thanksgiving was held. The Queen-Empress returned across London Bridge through Bermondsey, cheered and waved at all the way. Her personal message was sent via the miracle of telegraphy. “From my heart,” she said, “I thank my beloved people. 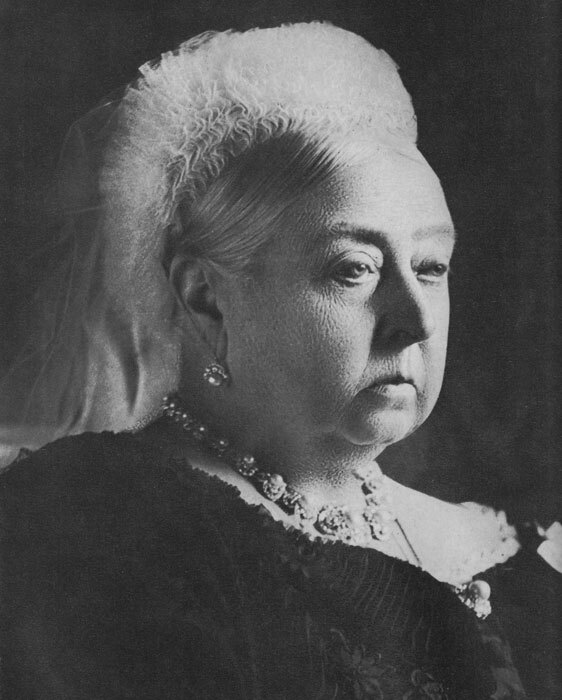 May God bless them.” Victoria was thanking her imperial subjects; they lived in five continents, were of every conceivable race, culture and creed and there were almost 400 million of them – an astonishing 25% of the world’s population. It fair makes your head spin, doesn’t it? Representatives of Victoria’s beloved people attended her 60th Anniversary from every corner of the Empire. There were giant cavalrymen from Australia, Canadian Hussars, Bengal Lancers, Turkish police from Cyprus, South Africans, Jamaicans, Sikhs, Maori riflemen, Dyaks from Borneo, Chinese from Hong Kong, gunners from Sierra Leone… Rulers and military leaders from other powerful nations came to pay their respects, including Crown Prince Franz Ferdinand of Austria-Hungary (whose murder in 1914 helped trigger the First World War). The British Empire was the largest empire ever (it actually peaked after the First World War); its geographical, political, cultural and linguistic legacy is enormous. In Britain itself, the imperial legacy is all around you: it is in architecture, literature, traditions, slang and institutions; it jumps out at you from countless memorials and statues in parks and town centres, and from banners hanging in a thousand village churches; it is in the people (of course); you can spot it in antique shops or at car boot sales; often, it’s there in the way things are done – most notably on ceremonial days. Empire has influenced British policy and international relationships for years and, curiously, still does. 52 of the 54 member states of The Commonwealth of Nations, formally the British Commonwealth, were once part of the British Empire – many of them home to people whose ancestors came from these islands. No one in Britain had any Grand Design to build an empire. It was as though it had been acquired, as the historian Sir John Seeley famously observed, “in a fit of absence of mind.” Yet this is too glib – a self-deprecating remark worthy of Sergeant Wilson of ‘Dad’s Army’ on finding that he has accidentally come by large parts of Africa. The Empire was built on deliberate acts undertaken by men who were often both brave and unscrupulous. Some of them were highly talented; others were probably quite mad. Their actions included piracy, slavery, exploitation and graft. And, however genuine Victorian philanthropists and missionaries might have been in trying to improve the lot of indigenous peoples, at the end of the day the majority of empire-builders were motivated by acquiring wealth. Ultimately, this benefited Britain – if not some of its imperial subjects. The benefits were not equally shared at home, though – Disraeli observed that Britain was itself “two nations” – and John Stuart Mill reckoned that the Empire was “a vast system of unemployment relief for the upper classes.” It is an uncomfortable fact that so much British trade in the late 17th and 18th centuries was based on slavery and the misery of other people – and that so few of our ancestors saw anything wrong in that. Britain was among the first nations to abolish slavery, and by the time of Victoria’s Diamond Jubilee the Empire was a lot bigger and quite a different place. Still, sometimes the Empire could be harsh and unjust; sometimes, whether through incompetence or design, it was cruel; it was certainly racist (though that was not unique to Britain, nor even to Europe) and arrogant (which wasn’t a uniquely British trait either); and it could be brutal – though rarely as a matter of policy. Whether it was a ‘good thing’ or not obviously depends on your point of view…the fact is that it happened, and all Empires tend to be unpopular unless you happen to be on the staff running one. Ruling other people was not unique to Britain, either – other guilty nations include Portugal, Spain, France, Denmark, Sweden, Russia, Austria, the Ottomans and, latecomers, Belgium, Germany and Italy. There were two distinct facets to the British Empire: on the one hand, what might be called the ‘westernised bit’, in a cultural sense – territories which had been colonised and therefore had a shared ethnic origin and which were more or less democratic and self-governing, like Canada, Australia and New Zealand. Then there was the ‘eastern Empire’ – conquered lands ranging from India through south Asia, the Middle East and, grabbed during Victoria’s reign, large chunks of Africa – ruled autocratically by imperial appointees. British forces frequently went to war to protect and expand their accidentally acquired Imperial interests – in Afghanistan, China, India, New Zealand, Persia, Burma, the Sudan and South Africa, for example. Despite superior firepower, and the support of the world’s most powerful navy (the main policeman of the Empire), victories were not always easily won. But for about 100 years, Britain was largely unchallenged on the world stage. Except for the Crimean War of 1854, in which Britain and France combined to prop up the ailing Ottoman Empire against the Russians, Britain was fortunate to fight no general war with its neighbours or imperial rivals during Victoria’s reign,. 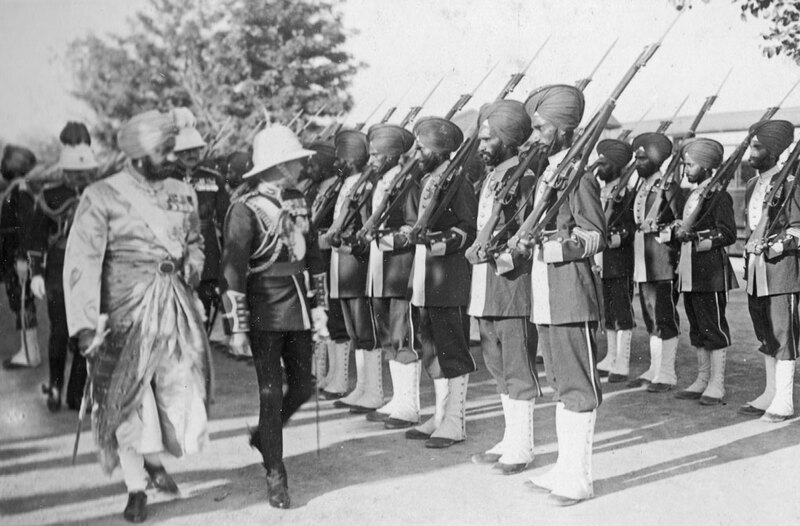 By and large, Her Majesty’s Government was only interested in threats to its own imperial interests – particularly India and the trade routes to it. So as the United States, Italy and Germany forged themselves into great nations through terrible bloody conflicts (in Germany’s case at the expense of the Danes, Austrians and French), and as European Alliances were formed toward the end of the 19th century, Britain stood back in so-called ‘splendid isolation’. The relative positions and respective attitudes of the major powers of the day, including the British Empire, all went into the cooking pot – along with a host of other choice ingredients – to gently simmer until boiling over in the incredibly violent 20th century.